Aloha from paradise! 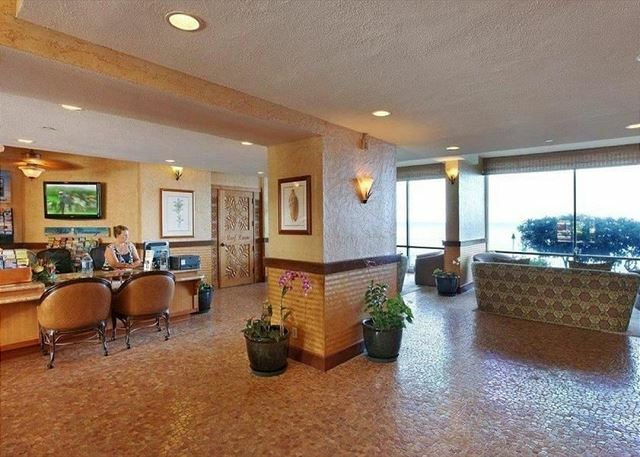 We are excited to offer a much demanded third level one bedroom suite at this popular West Maui resort! Our beautifully REMODELED condo has all of the amenities you would want on a tropical vacation (including AC and a washer and dryer in the unit)! The suite has a gorgeous ocean view and is fully furnished with elegant island décor. The kitchen and bathroom have been fully remodeled and will give you the comfort you expect from your home away from home. The kitchen is fully appointed with appliances, cookware, dishes, blender, coffee pot, etc --- perfect for making a gourmet meal to dine in or enjoy on your private lanai with your favorite island cocktail. Or, if you prefer cooking outdoors, you can use one of the ultra clean BBQ grills on the resorts lush tropical grounds. 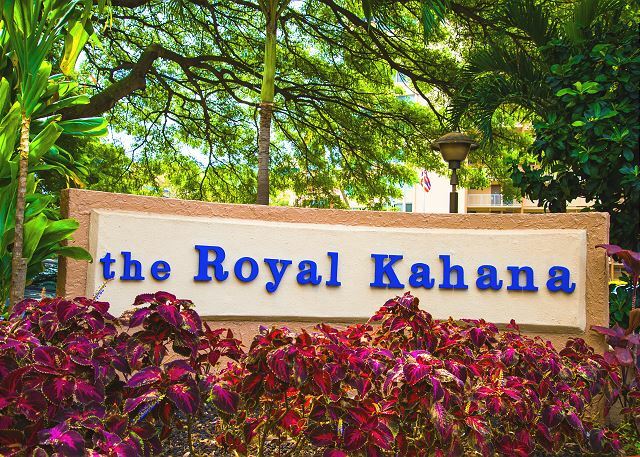 5/5 stars Review by Roger G.
My wife, our 5 month old son and I stayed at the Royal Kahana 315 in January of 2019. The unit is clean, spacious and has an oceanfront view. We had a very pleasant stay and would not hesitate to come again! 4/5 stars Review by Nancy E.
My husband and I stayed at Royal Kahana 315 for two weeks in November 2018. My daughter and spouse joined us for part of the time and slept on the pull out couch, which was adequate. We found the condo clean and updated. I would suggest more dinnerware - there were only four bowls and limited plates, which resulted in us washing the dishes by hand while there were four of us, to ensure we had clean dishes. Simple fix. Otherwise there was everything needed in the kitchen. I would suggest an extra set of sheets - we used the washer/dryer in the condo, which is a must. We were thankful for the variety of beach gear including two umbrellas, and two low beach chairs. There was also snorkel gear, pails for kids and even a fishing rod if needed. We didn’t use the boogie board but there was one available. The Royal Kahana is a well run complex, with a good gym, three barbecues which we used many nights, and a good sized pool. We never had difficulty getting a lounger. We found the staff friendly. One parking spot is provided, and we paid for a second for our daughters car. We didn’t have difficulty finding a spot to park. Although I noted in previous reviews the lack of a beach, there was some sand on the small beach and we did swim from there. Although there was no work being done on a retaining wall there will need to be . We stepped over a pile of sandbags to get to the beach. In future, with four adults I would chose a two bedroom condo, however this condo was ideal for two people. 5/5 stars Review by Michael S.
We really liked our stay at Royal Kahana 315. We always look for a unit with a/c and an in house washer and dryer to make the stay comfortable. The view from the balcony is good but most nites we went downstairs to watch for sunsets. One disappointing thing was a lack of a beach but that’s Mother Nature for you. We used the gym daily which was a plus. We are already scheduled to return in March so we will be looking to see if the unit is available. As a side note if you do any ocean excursions using Trilogy is a must. We did their day sail to Lanai. Sailing, dolphins, snorkeling ON the island, not off the island. A tour of Lanai City plus great food and drink. A must activity. 5/5 stars Review by AB-Martin B. 5/5 stars Review by AB-Linna H.
The condo had everything that was needed and more! It was a perfect sized condo with a master bedroom & pull out queen couch bed. The kitchen had all of the necessities & everything about it made the condo feel like I was at home. 5/5 stars Review by Thomas J. It was exactly how describe in the ad and pictures. Great peaceful place to stay, close to the beach and just beautiful. We loved the unit, very clean with everything you could possibly need for your visit. The bed was comfortable. Loved the fact that there was a closet full of gear to take to the beach, everything from beach chairs, cooler, boogie boards, sand pails, snorkel gear even a fishing pole! This unit so exceeded our expectation the view from the lanai was simply breathtaking. Looking forward to returning at a later date. 4/5 stars Review by Lisa K.
We loved the location and the accommodations. The view was amazing!! The condo was very clean and had everything we needed. The washer/dryer was perfect amenity.My only negative was the beach access was not available due to the erosion. We had to walk to a nearby hotel to access the beach. I don't remember this information being provided at the time of booking. 5/5 stars Review by Jennifer C.
I was very happy with the condo. It was very clean, liked the decor. The kitchen was amazing and the bathroom was very nice and updated. I love the layout of the condo. The only thing I didn’t like wasn’t the pool. It’s too small and only for kids. Also the maintenance going on was very loud. Epic Royal Kahana 315 - A slice of heaven! 5/5 stars Review by Teri K.
Royal Kahana 315 was everything I expected and more! It was a beautiful, clean, and spacious unit with all the amenities of home! The ocean and sunset views from the lanai and bedroom are INCREDIBLE! And it was really wonderful to watch the whales breach and frolic through the water while sitting on the lanai. I loved it! The king bed was ultra comfortable and it was really nice to have a large flat screen TV in both the living room and bedroom. The kitchen was perfect for cooking. I felt right at home. I highly recommend this property. It was reasonably priced and the property management staff was friendly and helpful.I will definitely stay here again! We enjoyed the comfort of this property. The management quickly answered any correspondence. The location was convenient to restaurants and shopping. We especially loved watching the sunsets from the lanai. 5/5 stars Review by TA - Marion Y. This a beautiful condo with amazing views from the living room, balcony and bedroom, sunsets everynight! The condo is exactly as pictured, clean and spacious, everything you need. I would highly recommend it and hope to return next year! 5/5 stars Review by Rhonda A. The condo was very spacious and had many amenities needed to cook meals in, including a blender to make your own smoothies. Laundry can be done in the unit while sitting on the lanai and snorkel equipment and chairs are provided. Local shops are close to get produce and other necessities. The pool needs some maintenance but functional. Sand bags in place to protect the eroding beach, not an inconvenience plenty of beach to walk and frolic in. Glad to see Maui taking care of its beaches... Loved the place planning another trip here now. 4/5 stars Review by Gayle V.
This condo is nicely appointed and had a good location.We are going to knock it for a star due to the late check in of 4pm which was an hour later than all the rest of the group and the door lock was a bit to figure out. It wasn't just a key pad but then there was a dead bolt to turn counter clock wise to unlock and even more confusing to lock by having to reverse the dead bolt turn knob. Suggestion: just make door entrance just" key code only" like many other units.Otherwise, condo was nicely decorated and had everything one would need. 5/5 stars Review by Sabina J. Everything was wonderful. The condo #315 had all new furniture & updated kitchen and bathroom.View of the pool and beach is stunning.there is access to the beach from the property. I'd highly recommend the location & the apartment that we stayed in. We were in suite 315, which was in great shape. The kitchen included an oven which was nice for heating up the odd dinner.The very unfortunate part was the entire beach was washed away, and large anti-erosion sandbags blocked any access to the beach. The sandbags were so high (3 feet at least) you could not see the ocean in the pool area.We would have booked elsewhere if we would have known.So before you decide to book at the Royal Kahana, make sure to ask if the beach is fixed. 4/5 stars Review by James B. Unit was clean. Easy access. Unit in need of a refresh. Parking sometimes a problem. Overlooked the pool and sometimes noisy. Gotta have an ocean view! 5/5 stars Review by Doug M.
We had a great time during our week in Maui. This condo is very nice and has great views from the lanai. We even watched whales while eating breakfast outside. 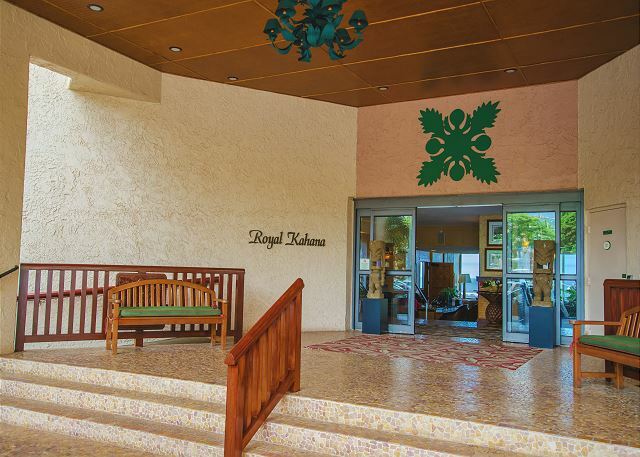 Royal Kahana is in a good location between Lahaina and Kapalua. 5/5 stars Review by Darlene N.
We are independent vacation rental owners with a property at the Royal Kahana. Occasionally we've had to relocate a guest due to some emergency in our condo. We always turn to Epic Realty because they are absolutely the best in every way. Everyone we've talked to feels the same. If you want a hassle-free experience with all that is represented in the listing and maybe a tad more, this is the place to come. 5/5 stars Review by Iosif B. Accurate description of property. Beautiful location with small beach right off the pool area! Condo had starter packs for kitchen, bathroom and laundry. Furnished beach towels, beach chairs and cooler which was very thoughtful. Did not see a single bug or critter inside the unit!!! Overall very pleased with the condo, would highly recommend it and would stay there again!!! Now for constructive feedback, toilet leaking upon arrival which was promptly attended to but would have preferred the PM use her time to be at the condo to oversee the repairs instead of ours. Drapes throughout condo seriously need to be replaced as they are soiled and ripped. Air vent covers need cleaning, especially behind bedroom door. Mattress on bed desperately needs to be replaced as it was way too soft. Even with these comments I would stay there again! We had a very enjoyable experience while staying at the property. The property manager Helen was very helpful and was always available for any any questions we had. Everything we needed was available in the property - starting from dishes, cups, pans, spatula, sugar, condiments, bottle opener, etc. They were very thoughtful to have dish washing liquid and detergent for us to use as well. Access to the beach was through the swimming pool.We absolutely loved our stay at the property and will definitely stay again if we ever came back to Maui. 5/5 stars Review by Amanda M.
The experience we had with the management company was fantastic. The room exceed our expectations and we can't wait to return. The view of the pool and ocean were amazing. Nothing like being able to see a full moon at night and a rainbow in the morning. 4/5 stars Review by Kelly C.
The condo was great very clean and nice lay out. I was great that they had beach chairs and towels. Easy to check in and they had covered parking. Negative no beach access and pool area is not the greatest we never swam there just took off each day and went to the beach. Great ice machine in frig so need to buy ice and great sunsets!!! 5/5 stars Review by Lisa A. We loved the resort, location and unit. The view from deck was gorgeous and unit nicely remodelled. Resort staff was friendly and helpful. Kahana is great seaside village and close to beautiful Lahaina. Beaches around had fantastic snorkelling and down the coast as well. The beach access was only downside as unable to use due to storm washout and sea erosion, but a close walk (4 minute) to beautiful local beach made it manageable to access. We were not contacted on check in or check out by manager. We checked out at desk to hand back in parking pass but they said individual unit owned so they don't do that. I think I would have liked contact from manager as other VBRO always checked in on us to make sure we were happy and had everything we needed. As well as on check out from management. 4/5 stars Review by Robert V.
5/5 stars Review by Dave K.
2/5 stars Review by Ben B. Parking was very bad with small & tight spaces. Room glass window facing the ocean had not been cleaned for years. DVR in the room did not workNo Spa ? 5/5 stars Review by Robert A. 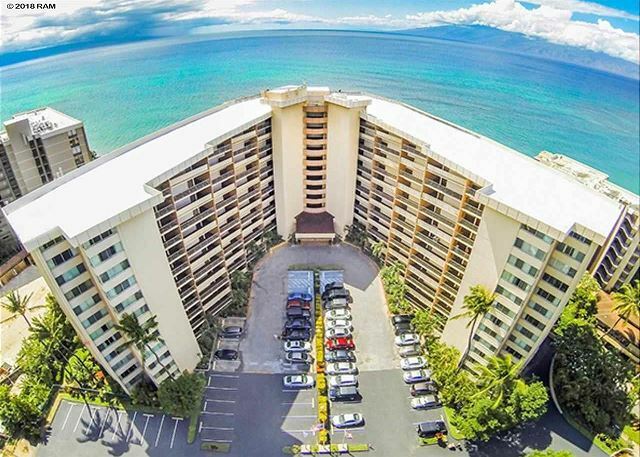 5/5 stars Review by Rene G.
We loved our vacation & our stay at Royal Kahana unit 315. so close to the beach & everything in beautiful west Maui.The condo was well stocked with utensils & looked as advertised. Helen & our concierge person were fantastic. I will definitely use Epic Realty again. We had a wonderful time in beautiful Maui! My rental experience was excellent!